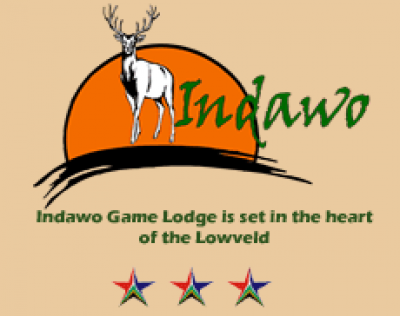 Indawo Game Ranch & Hotel- Mpumalanga The game ranch which is situated approximately 16km’s from the main business center of town, offers conference facilities from 10 – 150 people, with accommodation ranging from camp sites to luxury rooms and a honeymoon suite, hunting and various other activities and team building facilities. Training facilities and outdoor shooting range are situated at the game ranch.This ranch offers excellent hunting opportunities, is well stocked in grassland game and covers an area of 1800HA. This facility is run by a competent staff compliment of 20 fulltime staff members and 5 casuals. We have hunting packages to suit both local and over sea’s hunters, and offer the services of a Professional Hunter and a Professional Outfitter. With 3 Star Accreditation, the lodge offers luxury and family accommodation, game drives, Dinning Facilities, Heated Swimming Pool, Fishing, Bush Pub with big screen TV, Chapel, Boma with Braai and Bar facilities.